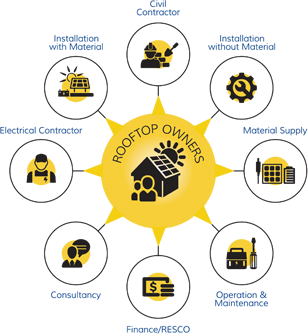 Roof Owners, Solar Installers and moreAll under one roof. Connecting Solar Solution Providers to Rooftop owners. Ezysolare.com is a venture 'supported by CIIE’.We make the end user’s process of going solar hassle free, cost effective and simple. 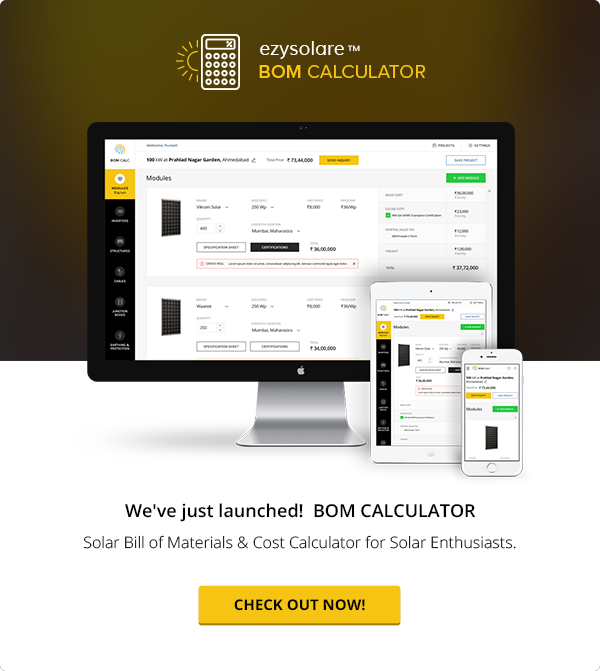 Ezysolare empowers owners, solar system designers and integrators, financiers, equipment providers and all relevant stakeholders of the solar industry. SolarConnect lets you reach out to contractors, consultants, financiers and other solar professionals for your solar project requirement - all under one roof. We are launching the platform listing the verified system integrators from all across the country and subsequently publishing the details of other professionals..